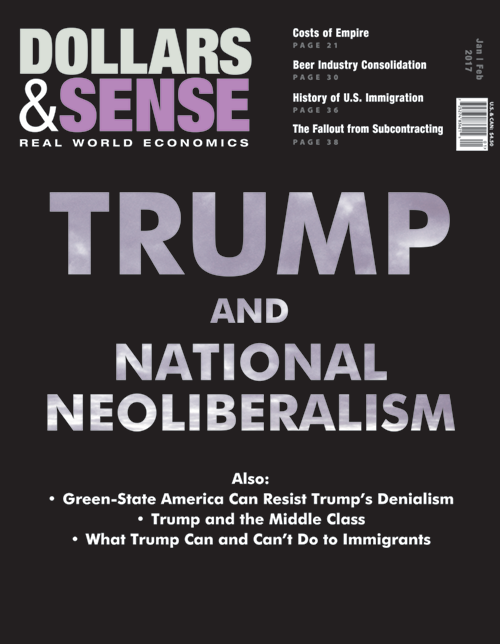 How has contemporary capitalism failed, in the United States and around the world? It has failed on sustainability. For decades now, there has been no sensible way to deny the looming catastrophe of climate change. Yet, only now are we taking the first steps to abandon “business as usual” and avert the worst. It has failed on stability. The boom-and-bust cycle of capitalist economies has been adrenalized by the deregulation of finance. As Nina Eichacker shows in her study of Iceland’s financial collapse (p. 21), no country has the institutional capacity to cope with the instability inherent in a deregulated and “supercharged” financial system. It has failed on security. Even wealthy countries fail to guarantee the basics in life—like housing, medical care, or education. As Gerald Friedman explains (p. 32), millions in the United States are still without access to health care, and millions more lack adequate coverage—even though universal care could be achieved at lesser cost than under the current system. Just as the particulars of the indictment are clear, so are many of the possible responses. Friedman explains how a single-payer health insurance system could reduce waste and achieve universal coverage. Biola Jeje and Belinda Rodriguez describe the burgeoning movement, of which they are a part, for free higher education in the United States today (p. 5). David Bacon advocates a human-rights approach to economic security in old age (p. 26). John Miller describes proposals to rein in the financial system (p. 9). 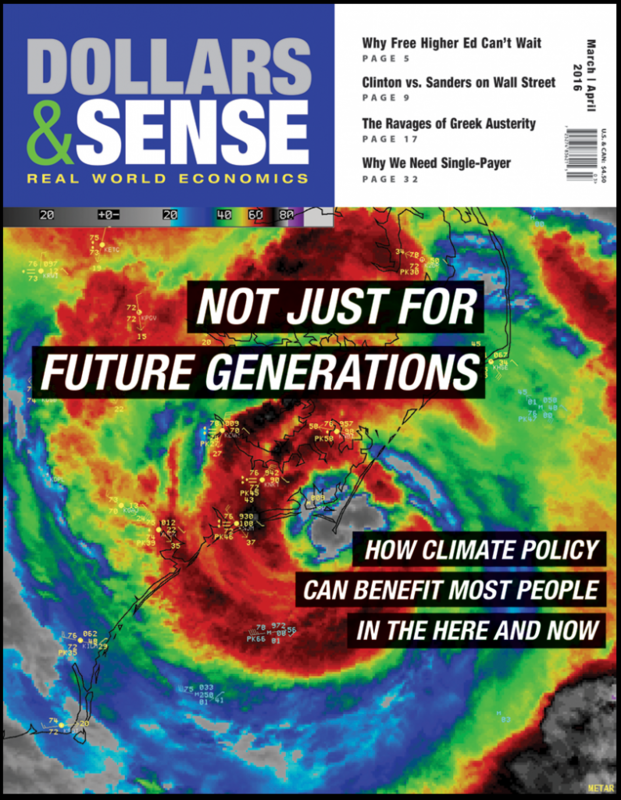 James Boyce shows that serious action on climate change would benefit the majority of people today, both in terms of health and wealth (p. 12). If anything, though, the readiness of solutions to our most pressing problems only casts the current system in a more negative light. Nolka’s example of a shuttered Greek textile factory—its unemployed workers meticulous in caring for the machines—serves as a case in point. It would take so little to restart production and get them back to work, but the factory remains closed and they remain unemployed. The solutions are all around us, yet those in positions of power can’t put them into practice.